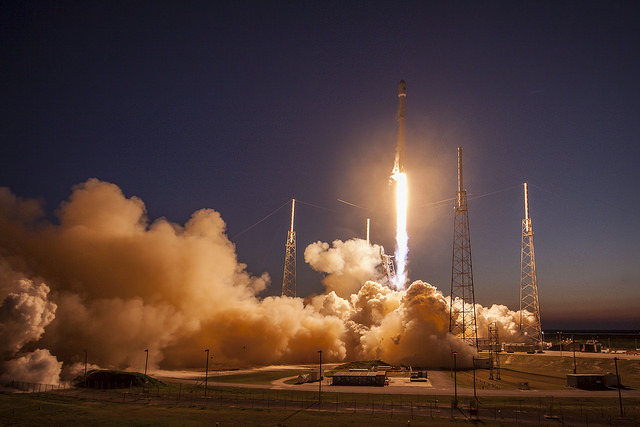 Powering off the planet just after sunset Friday, a SpaceX Falcon 9 rocket took off from Cape Canaveral with the multi-mission SES 9 communications satellite to link millions of homes, businesses, ships and airplanes across the Asia-Pacific. 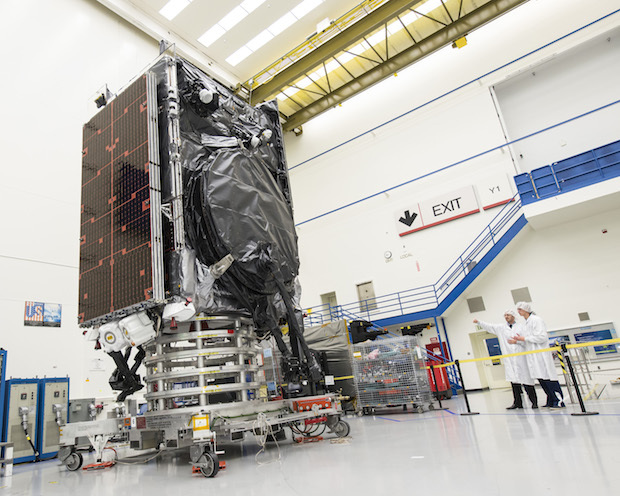 The commercial telecom station, to be positioned nearly 22,300 miles (about 36,000 kilometers) over the equator, weathered four previous launch attempts since Feb. 24, grounded by problems with the Falcon 9’s super-chilled liquid oxygen propellant, a boat that strayed into offshore waters, and pesky upper level winds. A rush of steam and orange-hot rocket exhaust from the Falcon 9’s nine Merlin 1D main engines signaled the start of a 31-minute trip into orbit at 6:35 p.m. EST (2335 GMT). 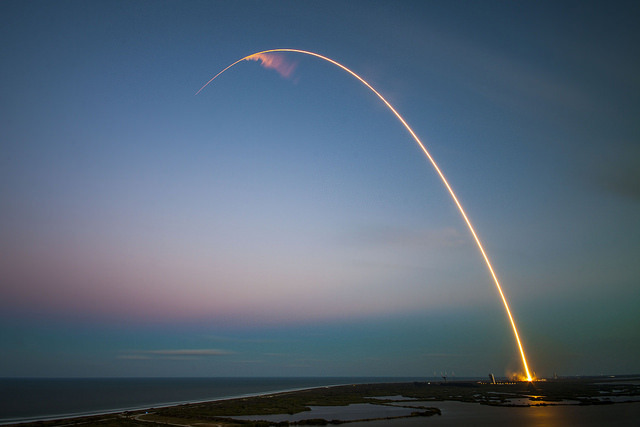 Moments later, the slender white launcher climbed away from Cape Canaveral, arcing toward the east over the Atlantic Ocean as vibrating sound waves reached spectators stationed several miles away. Riding 1.5 million pounds of thrust, the kerosene-fueled rocket surpassed the speed of sound about one minute into the flight, and the Falcon 9’s engine plume grew fainter the farther the launcher flew downrange, only to be illuminated again as it climbed into sunlight. Less than three minutes after liftoff, the nine-engine first stage turned off and dropped away, leaving the Falcon 9’s second stage engine to finish the job of placing the SES 9 telecom satellite into orbit. The Falcon 9’s nose fairing split open and jettisoned a minute later, and the second stage fired until the flight’s nine-minute point, before coasting and then restarting over Africa to drive SES 9 into geostationary transfer orbit. 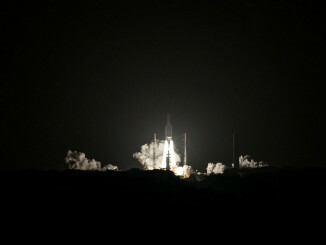 The rocket deployed SES 9 about 31 minutes after liftoff as it flew hundreds of miles over the border between Zambia and the Democratic Republic of the Congo. 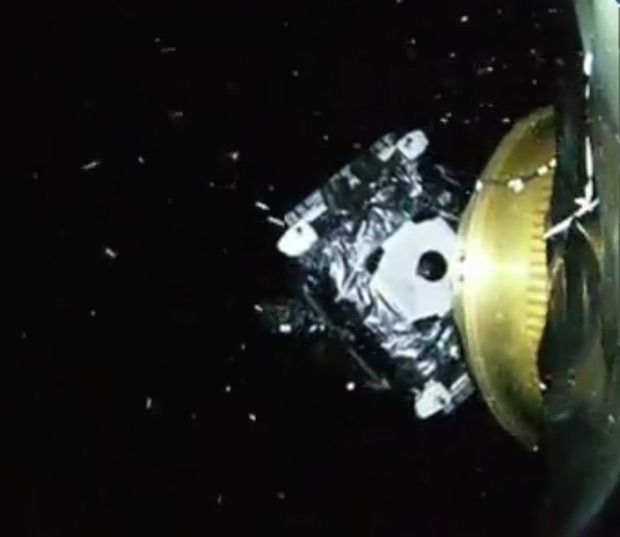 A video camera fastened to the Falcon 9 rocket showed the SES 9 satellite flying away in orbit, beginning a 15-year mission to provide communications connectivity over Southeast, Asia, India, Australia and the Indian Ocean. Ground controllers received the first signals from the newly-launched spacecraft late Friday night, confirming its health after launch, according to Boeing, the satellite’s manufacturer. SES 9’s launch is running more than six months late after a Falcon 9 rocket failure last year grounded SpaceX’s fleet. Thursday’s launch marked the third flight since the Falcon 9 rocket returned to service, and the launcher’s second mission of 2016. In return for the delay, SES secured an adjustment in the Falcon 9’s flight profile to give the satellite an extra boost of speed during the launch. 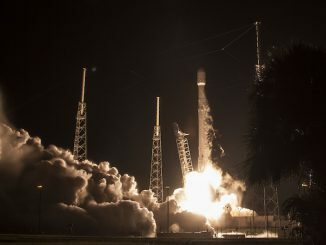 Instead of entering orbital targets into the Falcon 9’s guidance computer, SpaceX reprogrammed the rocket to burn its second stage engine until the fuel tanks neared empty, salvaging as much of the propellants as possible to put SES 9 into a higher orbit than originally planned. The change puts SES 9 closer to geostationary orbit nearly 22,300 miles (36,000 kilometers) over the equator, cutting the time the satellite needs to transit from its drop-off orbit to its final operating post. Instead of taking 93 days to complete the journey, SES 9 now needs 45 days, said Martin Halliwell, chief technology officer for Luxembourg-based SES. That translates into millions of dollars of revenue much earlier than would have otherwise been the case, but still months later than originally anticipated due to repeated launch delays. “We sat with SpaceX and said, ‘Guys, how can you improve our mission profile? How can you get us to orbit a little bit quicker?’ We have agreed with SpaceX that we will change the mission from a guidance controlled shutdown of the second stage to what we call a minimum residual shutdown of the upper stage,” Halliwell said. In plain speak, the adjustment was a rather simple change in the Falcon 9 rocket’s control logic. Instead of programming a target orbit into the rocket’s guidance system, the Falcon 9’s second stage burned its single Merlin engine until the launcher’s supply of kerosene and liquid oxygen propellants are nearly gone. SpaceX chief executive Elon Musk tweeted that the Falcon 9 rocket achieved an orbit with a maximum altitude of more than 25,200 miles (40,600 kilometers). “Thanks (SES) for riding on Falcon 9! Looking forward to future missions,” he tweeted. The Falcon 9 flight was the rocket’s 22nd mission since debuting in 2010, and the second launch of an upgraded configuration burning super-chilled kerosene and liquid oxygen propellants. The change in fuel mixture gives the Falcon 9 the ability to generate more thrust and lift heavier satellites into orbit, but SpaceX engineers wrestled with difficulties handling the cryogenic liquid oxygen, which is stored at minus 340 degrees Fahrenheit. Liquid oxygen for rockets is normally left at minus 298 degrees, near the element’s boiling point. The extra refrigeration puts tighter requirements on the Falcon 9 rocket, and two launch attempts Feb. 24 and Feb. 25 were called off because the liquid oxygen was not ready for liftoff. SES 9’s hydrazine-fueled propulsion system will fire seven times over the next 12 days to begin circularizing the satellite’s orbit. 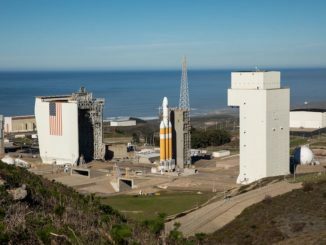 Ground controllers at Boeing will command the craft’s power-generating solar arrays and antenna reflectors to unfurl around March 17. An ultra-efficient electric propulsion system, which generates thrust by driving xenon through an electric field, will fine-tune the satellite’s orbit throughout March and April. By the middle of May, SES 9 should be ready for final tests of its communications payload, ahead of its entry into commercial service in June, officials said. At geostationary altitude, SES 9’s orbital velocity will match the rate of Earth’s rotation, causing the satellite to hover over a fixed location at the intersection of the equator and 108.2 degrees east longitude. From its high-altitude perch, SES 9’s Ku-band communications payload will broadcast television programming across Southeast Asia, replacing the NSS 11 satellite launched on a Proton rocket in 2000. SES 9 will be the company’s largest satellite serving the Asian market, according to Halliwell. Up to 22 million homes across the Asia-Pacific, clustered in countries such as Indonesia, the Philippines and India, will receive high-definition television programming via SES 9. The new telecom platform will also connect ships in the Indian Ocean to communications networks and provide in-flight entertainment for airline passengers in Southeast Asia. SES 9 was one of seven satellites in development by SES, a combined investment Halliwell said is worth up to $1.8 billion. He declined to identify the cost of SES 9 itself. With Friday’s launch, SES has six satellites remaining in development, and four of them are assigned to SpaceX’s Falcon 9 rocket family. Two others will launch on Ariane 5 rockets. A secondary objective for Friday’s launch was the landing of the Falcon 9’s first stage booster at sea, where a football field-sized barge waited for the rocket’s descent 400 miles (650 kilometers) east of Cape Canaveral in the Atlantic Ocean. The high speed required to put the SES 9 satellite into its high-energy orbit left little margin for the recovery attempt, which uses leftover propellant in the first stage to relight its engines to steer toward landing. The next Falcon 9 flight is scheduled for no earlier than March 29 at approximately 8:38 p.m. EDT (0038 GMT on March 30) with a Dragon supply ship bound for the International Space Station. It will be SpaceX’s first supply run to the space station since last year’s Falcon 9 launch failure.